Have you or a loved one been diagnosed with a nontuberculous mycobacterium (NTM) infection after undergoing open heart surgery? Open-heart bypass surgery has become an increasingly common medical procedure, with an estimated 250,000 performed each year in the United States alone. A recent press release by the Food and Drug Administration, however, suggests that a particular medical device commonly used in these procedures may itself be causing potentially fatal bacterial infections. On October 13, 2016, the FDA issued a warning about the possible link between the use of the Stöckert 3T Heater-Cooler System in open heart surgeries and mycobacterium chimaera infections. Mycobacterium chimaera is a type of nontuberculous mycobacterium, or NTM, which can infect individuals who have undergone invasive procedures, particularly those with weakened immune systems. The bacteria is slow-growing, and symptoms of infection – including night sweats, muscle aches, weight, loss, fatigue, and fever – are often general and slow developing in nature. As a result, proper diagnosis and treatment may be delayed for months or even years, possibly leading to serious illness and death. What are Stockert Heater-Cooler Units? 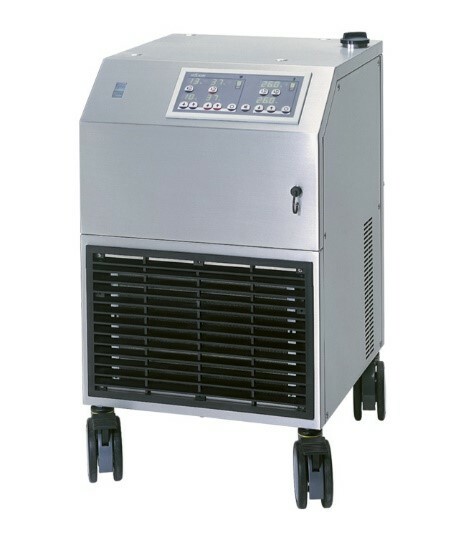 Heater-cooler devices are used in surgeries involving the heart, lungs, esophagus, and other chest organs. 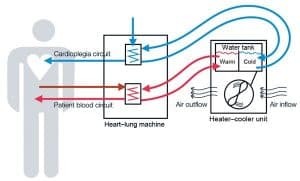 They warm or cool surgical patients by providing temperature-controlled water to external heat exchangers or to warming/cooling blankets through closed water circuits. As is typical with these heater-coolers devices, the Stöckert 3T features a water tank, an environment that provides a prime environment for the growth of NTM bacteria. While this potentially-infected water does not come into direct contact with the patient during surgery, the water in the tank can evaporate and be circulated throughout the operating room by a fan used in the device, possibly resulting in patient exposure and/or infection through the open surgical wound. The Stöckert 3T is produced in Germany by LivaNova PLC (formerly Sorin Development Deutschland GmbH). The FDA’s report notes that recently-completed “genetic fingerprinting” tests show that devices manufactured prior to September, 2014 may have been “contaminated” at the production facility. The Stöckert 3T has been available in the United States since 2006. An estimated 2,000 units are currently in use by hospitals throughout the country, and these particular units are used in approximately 60% of open-heart bypass surgeries every year. The company has been receiving complaints about patient deaths related to NTM infections since January, 2014. At least 28 cases of possible device-related NTM infection in the US have been identified in the past year alone, with hospitals in Iowa, Michigan and Pennsylvania reporting infections, some diagnosed as late as four years after surgery. Pennsylvania’s WellSpan York Hospital, for example, has initially linked twelve infections to the Stöckert 3T; six of these patients are now dead. Goldberg Weisman Cairo, which has extensive experience in product liability and medical malpractice litigation, is continuing to monitor all aspects of the ongoing investigations between the device and NTM exposure. If you or a loved one has been diagnosed with an NTM infection after having undergone open heart surgery, contact our team of personal injury lawyers 24/7, 7 days a week. Click here to fill out a free case evaluation form or if you want to speak to one of our representatives immediately you can click here to call our office now at 1-800-464-4772. Settlement – An ironworker fell from a one-story roof and was rendered a partial quadriplegic.